Photo Shoot Monday ~ Night Photography | The Happy Wonderer ~ ellen b. 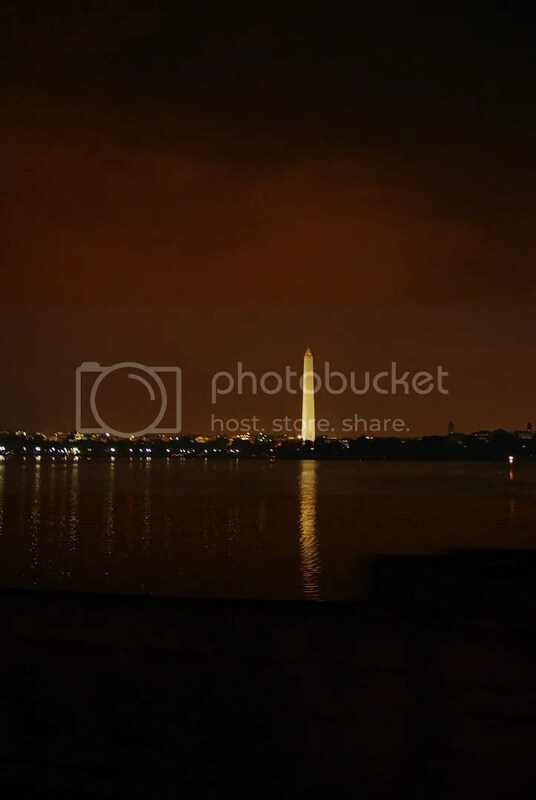 This weeks photo challenge from Carly at Ellipsis is Night Photography. 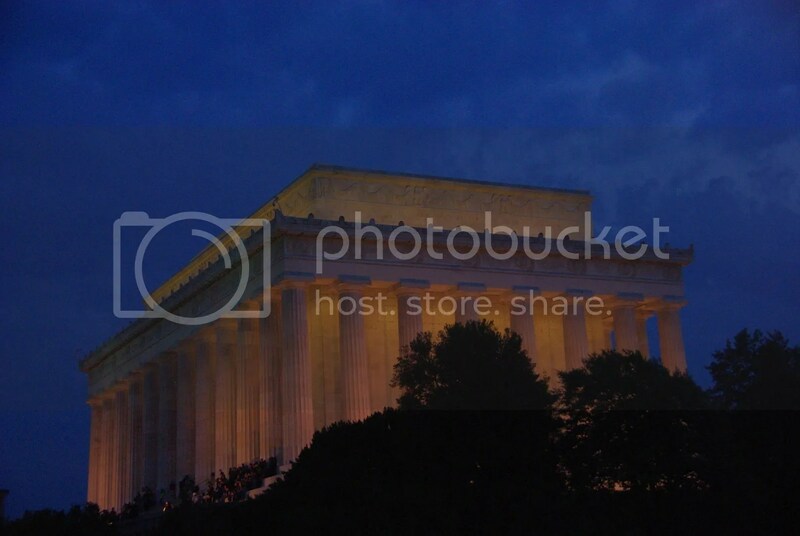 I’m sharing some of my Washington D.C. Moonlight Tour photos. This can be considered dusk as well as the next photo. 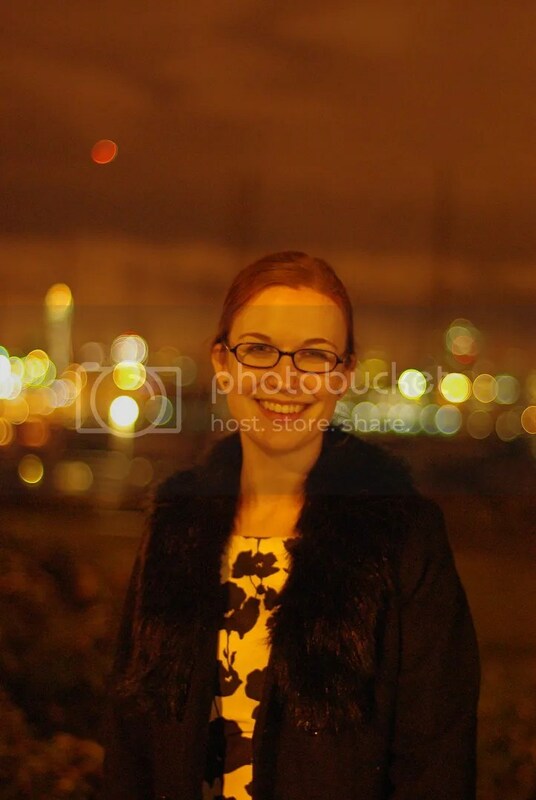 Our daughter Katie at night outside a Seattle restaurant after celebrating the completion of her degree. This next photo shows her backdrop. Thanks Carly for the prompt. To everyone who visits here I’d like you to know I appreciate it and the kind comments you leave. Today I’m enjoying the after effects of a relaxation massage my kids gifted me with on my 60th birthday last March. Tomorrow is the first day of summer and we’re still waiting for Spring around here. We are hoping for a good stretch of sunshine soon! Blessings! 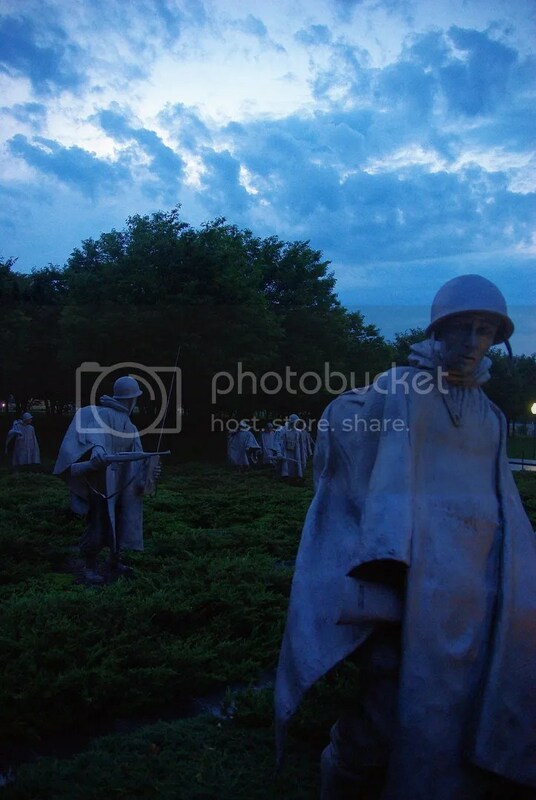 Posted on June 20, 2011 by Ellen •	This entry was posted in Photo Challenge, Travel, Washington D.C. and tagged Flag Raising at Iwo Jima, Korean War Memorial, Lincoln Memorial, Moonlight Tour, Seattle, Thomas Jefferson Memorial, Washington Monument. Bookmark the permalink. 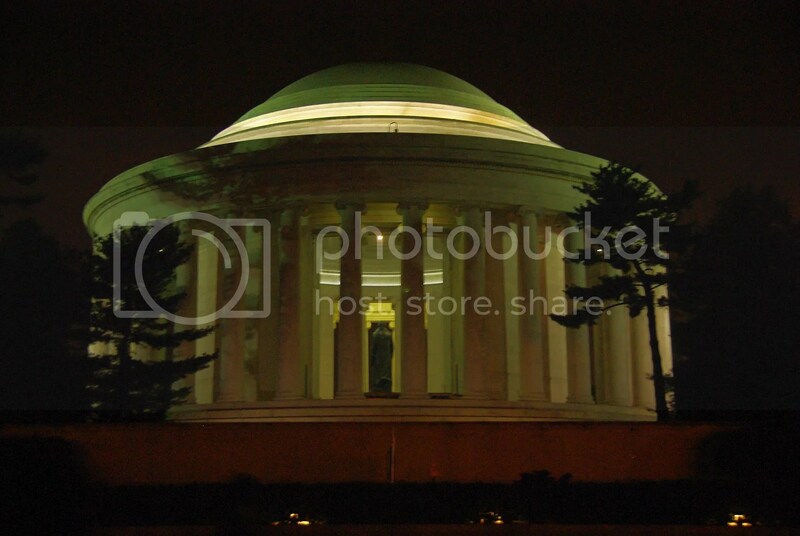 Did you have fun playing with your shutter speed and exposures to do the night shots? 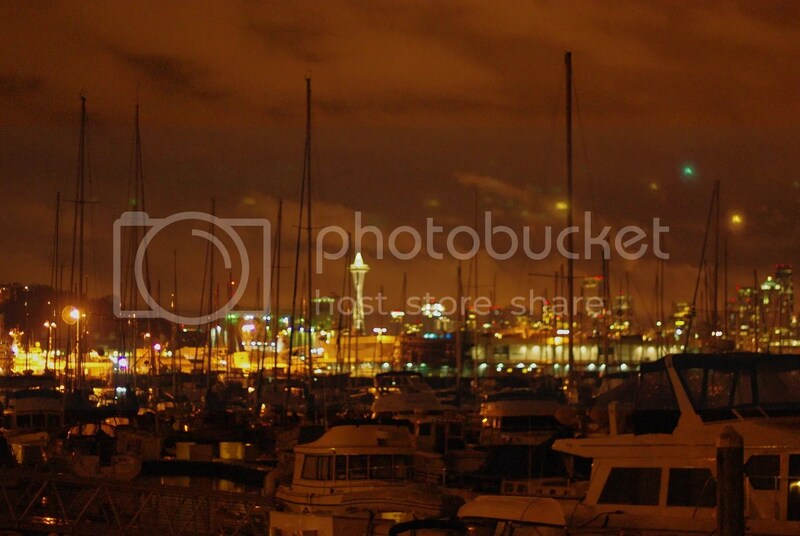 And who doesn’t love a fabulous background like Seattle’s space needle at night! Gorgeous girl and gorgeous backdrop! Hope you have many,many more Happy Birthdays. When my hubby and I got married, we were 25 & 26 years old. That was 53 years ago. We’re still chugging along for the ride. But, not many things have changed. He still mows the lawn and watches sports. During the winter, we still make borsch, lapsha, gulupsi, etc. At Christmas time, we make nachinki (lots of them) and other Molokan pastries from our Russian Molokan recipes. I like the nachinka dough the best. because it’s so savory. Oh, yes, my sweetie pie is a prostate cancer survivor (13 years now). I was falling to pieces when I thought I would be a widow but sweetie kept me going. He was such an excellent patient with his calmness and assurance that everything would be just fine. The Lord has certainly helped us more than a lot of people know. Thank you for your wishes. Wow 53 years married, that’s great. We call nachinki, piroshki, and boy are they good. I enjoy the savory ones, too. Most of my recipes come straight from my mom. I do have the San Francisco Molokan Cookbook that I got for a gift at my wedding in 1974. That’s great that your hubby survived prostate cancer. He sounds like a great patient and husband to stay calm and encourage you. My hubby works for a company that has a prostate cancer treatment. May God bless you with many more years together! I’ve missed your yard art posts! Everytime I see some outrageous thing in someone’s lawn I think of you! Great scenes captured at precisely the right moment! Thanks for sharing! 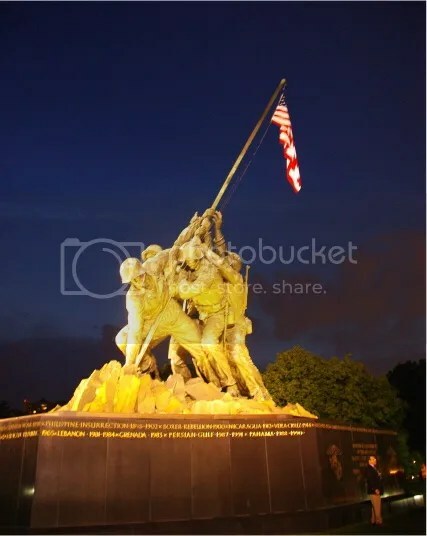 Love those monuments at night!!! The others look great too! These are wonderful night shots, something I consider very difficult. 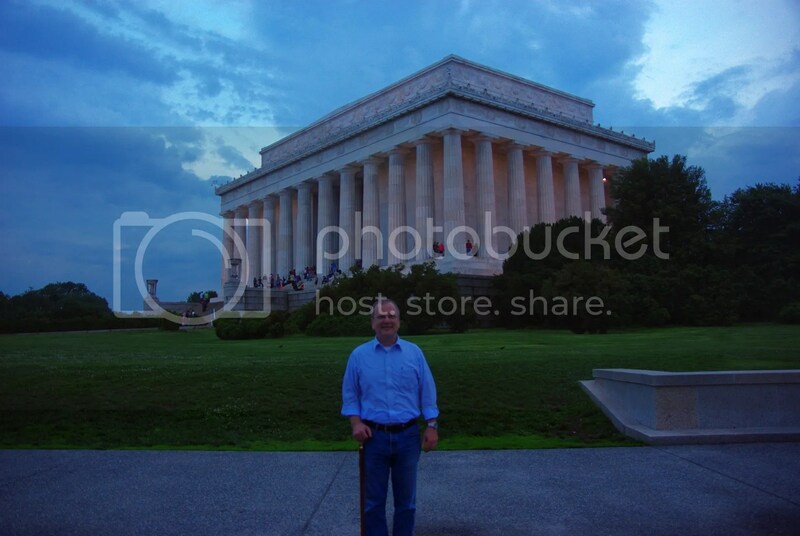 Did you use a tripod? BTW, I am amazed at all the responses you have been getting on your history of Molokans, and the people that are finding each other as a result. It is incredible how they have all found your blog and each other! Gorgeous shot of the night scene!